Modern research science is validating and explaining the beneficial effects of a wide range of complementary, alternative and integrative therapies. Our purpose at Mind-BodyTech is to provide affordable access to a variety of innovative frequency technologies as well as bodywork, energetic, and movement therapies that may help deliver positive outcomes for a wide range of client health and wellbeing concern issues. These could quite probably include success aims that are proving to be easier said than done, even when nothing else has worked. 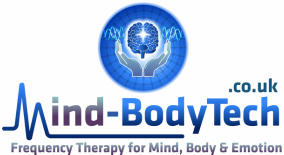 If you would like to discuss whether Mind-BodyTech approaches might be able to help in your particular case, please contact us for a free phone consultation before committing yourself to an appointment.